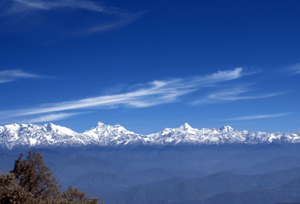 Binsar is in no doubt one of the most prominent adventure destinations in the Garhwal Region, Uttarakhand. It is an admired hill resort in the splendid Garhwal Himalayas. The chief lure of Binsar is the scenic outlook of the Himalayan mountain ranges, which are extended in 300 kilometers of renowned summits such as Nanda Devi, Chaukhamba, Nanda Kot, Kedarnath, Panchachuli, and Trishuli. Binsar is enclosed by alpine flora, hanging moss, ferns and sorts of wild blossoms as well as the woodland, where rhododendron and oak are found all over the place. The trek begins from Pauri and goes through Thalisain. From Pauri, the trek takes the adventurer through very opulent wooded areas of oaks, deodar, pine and silver fir. These forests are rich in wildlife. The Rishikesh Pauri Binsar Trek is best for winter months and it is not that challenging with steady gradients and declines. On the route of the trek, an adventure buff can offer reverence at the Samadhi of great freedom fighter Veer Chander Singh Garhwali. This Samadhi was built in the middle of the Dudhatoli Sanctuary, Musa Kota. This trek is filled with life and the explorers will relish the picturesque exquisiteness all the way through. Arrive Rishikesh and check into the hotel or tourist rest house. Overnight at Hotel. After breakfast 136 kms. drive to Pauri. Lunch enroute. 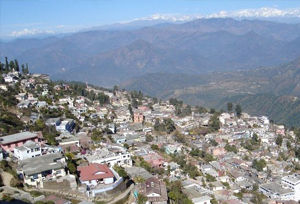 Arrive Pauri and check into the hotel or tourist rest house. In the afternoon sight-seeing programme at Pauri. Dinner and overnight at hotel or rest house Pauri.